Home » News » The new site is taking flight! The new site is taking flight! It’s long overdue, but the website has finally been given a beautiful facelift with the help of web designer Jim Bunte. I’ll be fine-tuning the content for a month or two . . . be sure to bookmark the home page and check back for news of rail and roadside related projects, plus blog posts and pictures! 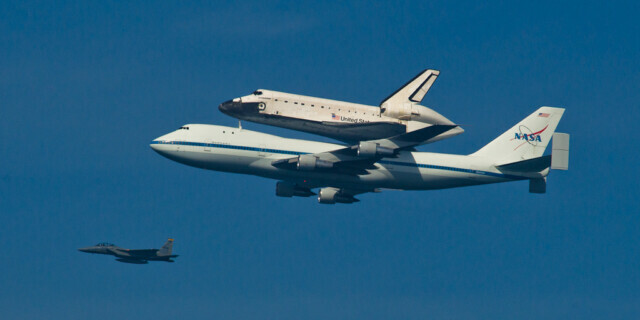 Photo: Endeavour’s final flight, seen from Marina, Cal., Sept. 21, 2012.